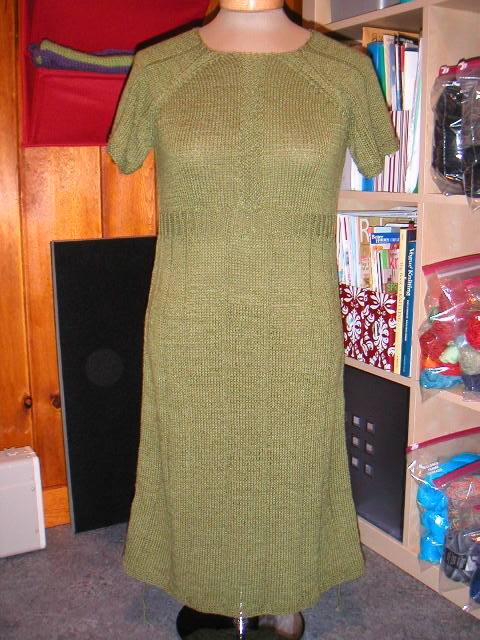 Aside from having a couple of ends to weave in, I finished the seaming of the minidress late last night. I have to sew the four diamond-shaped buttons to the placket and then the smaller round buttons on the sleeves, where they hold down pleats. I haven't actually tried the dress on yet, so I'm not sure if that pleat is necessary. The neck gets a row of single crochet edging and that will be quick and easy. I love how the skirt falls and drapes. Photos of me wearing the dress to be posted soon!